A beautiful party with beautiful people! 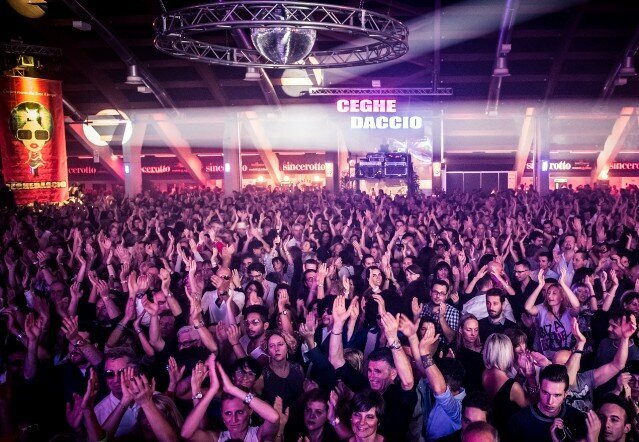 Il Ceghedaccio is the party all 70's and 80's music-lovers are waiting for. Born in 1993 in a club in the province of Udine, Il Ceghedaccio offers the best original Disco music with a timetable compatible with everyone's needs. The dances begin at 9:30pm and close four hours later, twice a year, once in April and once in October. A simple formula with which Il Ceghedaccio has attracted thousands of people who, at every edition, find pleasure in the simple act of being together. 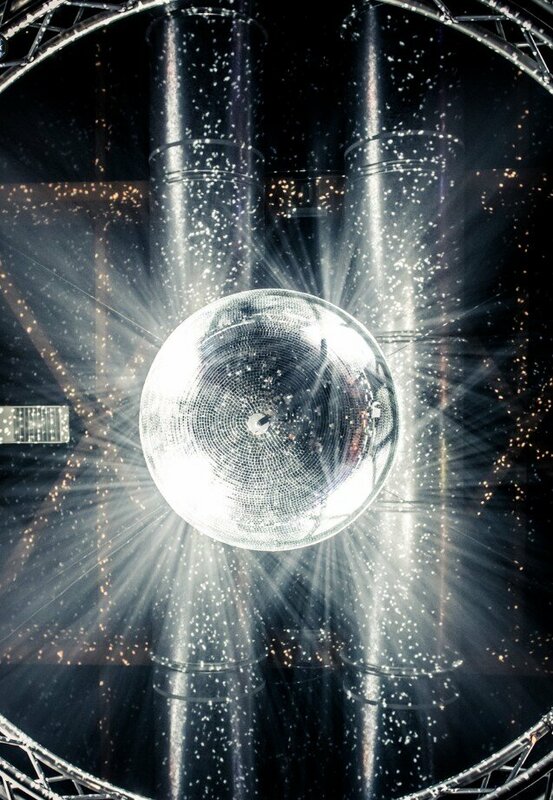 The best disco music from the 70s and the 80s, disco balls and the desire to have fun and find old friends is the the mix which makes every edition unique. Father of the party, historical DJ and chief protagonist is Renato Pontoni. Thanks to his energy, the professionalism of his staff and the sponsors who believe in the project, every year the attendance at Il Ceghedaccio grows. Indeed, there are ever-more young men and women who part at Il Ceghedaccio, which has now become party to cross generational boundaries, an authentic party tradition. Ceghedaccio.... comes from the chorus of the famous song Der Kommissar by Falco, which reached the top of all European charts in 1992. The party begins in 1993, in the still-historical club of La Botte in Pradamano, then moving on to ever-bigger clubs in the province of Udine before finally landing, in 2004, at the Fiera di Udine. There are two annual parties (April and October) which attract thousands of people from the North-East of Italy every time. Over the course of the years and numerous editions of Il Ceghedaccio, the manifestation has consolidated its' success, becoming a full-blown cultural phenomenon. Thus in 2006 Renato Pontoni is invited to speak the Facoltà di Scienze della Formazione e dal Dipartimento di Economia, Società e Territorio (The faculty for Formational Sciences and the Dept. of Economy, Society and Territory) at the University of Udine to give a talk on the “Ceghedaccio Style”. Doctors Orioles from the Dept. of Economics, Society and Territory and Flacone from the Dept. of History and Tutelage of Cultural Goods also participated in the talk. The formula is simple – playing the best music from the 70s and 80s, at the same times in the evening that those songs were played. Special effects are guaranteed by the people attending; with their enthusiasm and warmth the always make the evening magical. All clichès and all fashions are well accepted. And all young people who are curious to see what a Ceghedaccio night is like are instantly welcome by the older, established generations of the Ceghedaccio family. Doors open at 20:00, from 21:00 to 21:30 everybody reaches the dance floor to have fun 'til 1:30 with the best disco music on offer. Midnight sees the introduction of slower songs, and then all to sleep! Music here is a tool to spread fun and a culture of mutual and self- respect; this is the philosophy behind the event which, thanks to passion for music and outright joie de vivre, always manages to give an old-school event a fresh and modern vibe. 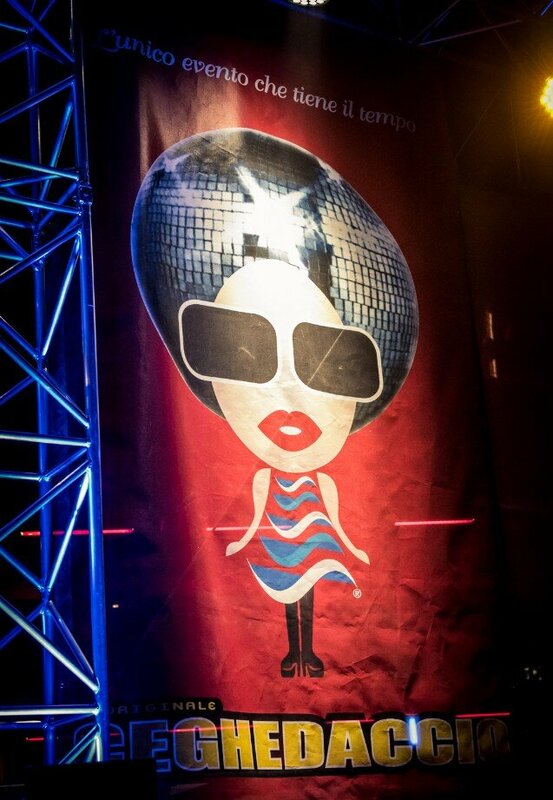 The ever-lasting charm of Disco Music and its' extraordinary energy can be found in the musical selection at Il Ceghedaccio. An archive of over 20,000 original songs on vinyl from which the best, most-loved, most-danceable songs are selected. Falco, Culture Club, Duran Duran, Silvester, Chic, A-Ha, Depeche Mode, Madonna, Donna Summer, Michael Jackson, Blondie, Wham, Immagination, Village People, Boney M., Bee Gees, Spandau Ballet, Queen, Rockets, Sister Sledge, Indeep, Martinell are just a few of the protagonists of Il Ceghedaccio evenings. The musical choices of each event vary from year to year also thanks to the suggestions from the public who, by selectinos their favourite songs, can contribute to the set-list of each night, rendering it even more memorable. The greatest hits of 70s/80s are played and mixed from their original vinyls are often enriched by live performances of Italian bands. Do you want to avoid queuing? Buy your Ceghedaccio event in one of the regional presale offices on the regional territory. The full ticket is € 18,00. The discounted ticket – for holders of the Ceghedaccio card – is € 14,00 and can be bought only after showing the nominative card. Don't have the card and would like to? It's free! Click here! We can offer technical and artistic advice, always on the cutting edge with a meticulous preparation of any program, adapted to any need or request for your event. We can turn your event into something unique, gripping and unrepeatable which will excite, surprise and involve your audience. Our staff will know how to satisfy all your needs and respond to all your requests. 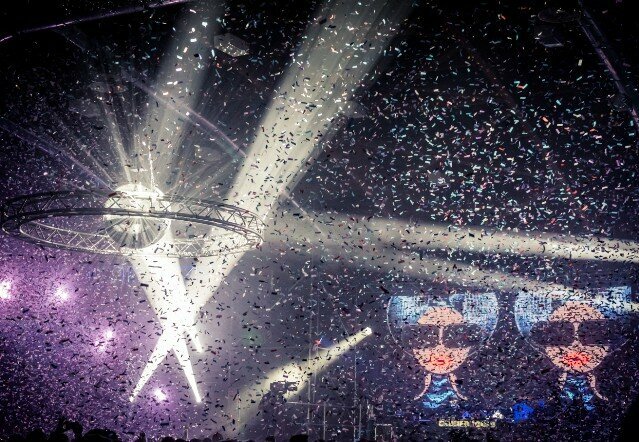 We can provide graphical support, promotion, technical organisation, artistic coordination and all other services such as props (from balloons to any kind of entertainment) and catering, as well as all the necessary paperwork and admin duties. Give us your idea, we'll make it come to life!